No Periphérique this year! Instead an all day family ride to the Lea Valley with our friends from Islington. 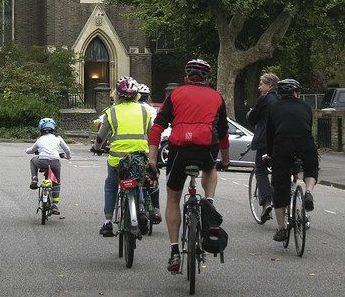 Start in Camden (Sidings Community Centre or Highgate Road) or Islington (Town Hall). 3 Islington Town Hall N1 2ZE at 10:45 for 11 a.m. If you return direct from Finsbury Park to Islington Town Hall it’s 13 miles, Town Hall via Parkland Walk 15 miles, Hampstead Heath 18 miles, Sidings 24 miles.